When a car’s launched we can generally be certain of one thing: the way it looks is as close to what the original designer viewed as perfection, within the boundaries of the design brief he or she was given, of course. The images in those original press pictures are the fruits of their labours, months of painstaking honing of clay models, mastering powerful and expensive software and finally getting their masterpiece signed off by the board. It simply cannot be improved upon. So why then do manufacturers insist on a series of measures I call the Joan Rivers Effect? Where cars are tweaked and fettled in such a way that car magazines and websites herald the arrival of a ‘facelift’? A handful are successful, adding to the beauty and appeal of the original work; a good few more merely make the car look different; but the majority take that initial design, add a completely new styling theme at the extremities of the body work and leave the world with a distorted hybrid that jars the eyes of the observer. 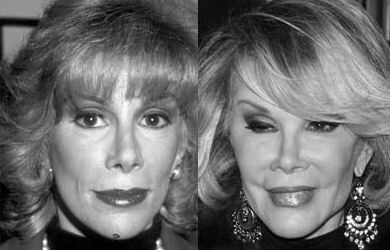 These are the facelifts even Joan would turn her nose up at. Assuming it moves of course. 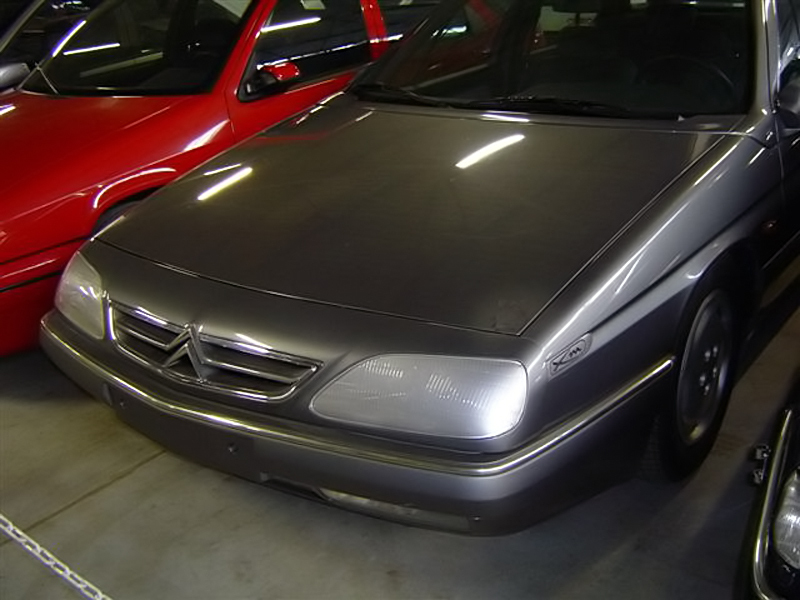 My unwavering enthusiasm for the Citroën XM goes well beyond its mechanical complexity. Those crisp Bertone lines, launched at a time when the world of car design seemed to be moving in unison to showrooms full of amorphous, aerodynamic blobs, struck a chord with me that still resonates today, almost 11 years after sales of new ones came to an end. If I may be so bold it also falls into the category of improving after its 1994 facelift. Witness the photographic evidence below. The new grille gave the nose an instant family look with no detriment to the lines, while the full colour coding of the bumpers served to highlight the length and angles of the complex shape. Although the back of the estate remained largely unaltered, the hatch had a subtle but hugely effective alteration. There was something about the original rear wing, a low level hoop affair, that looked a little aftermarket. A bit Halfords bargain bin if you like. The Series 2 changed all that though, lower in line and protruding rearwards like an fin crafted by gifted aerodynamicists for an Ariane rocket. Series 1 to Series 2 XM a definite success. Now, I hasten to add that there was potential for a faux pas of Biblical proportions. 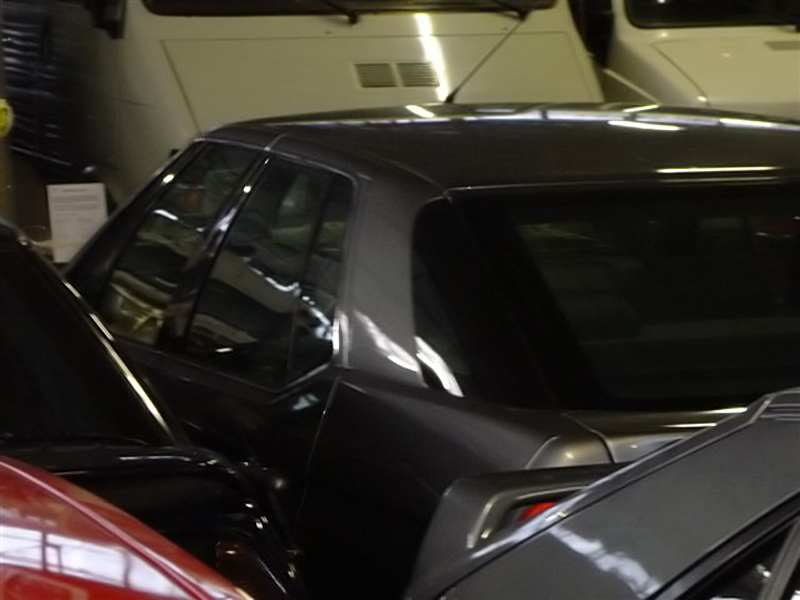 Some months ago this double sided styling buck was unearthed showing Citroën’s thinking for a proposed Series 3 XM. Whether common sense prevailed and the plans were scrapped in the interests of good taste and the preservation of the Entente Cordiale, remains an unwritten chapter in history. Just be careful not to mid-drink as you soak up the visual horror of the Xsara-like headlamps, the body coloured, thickened C-pillar and a disastrous reworking of the split level tail lights. Seeing this makes the C6’s eventual arrival all the more worthwhile. Do you recall that summer day, back in July 1999? Fiat was celebrating its centenary. It had dusted off its classical blue circular badge and old style Fiat font and had a new car to mark the historic event – the second generation Punto. I’m well aware I might be out on a limb here but I found Punto II a very interesting design. Not pretty in the classical sense and had a tendency for body creases and lines to shoot off in all directions, but it had a definite appeal. It had a techno-modern front with no less than four separate lights in each slim line headlamp assembly, bluff little grille-less bonnet and different front bumpers representing the different characters of the 3- and 5-door models – the 3-door having a sportier appearance with angled slashes mimicking brake cooling ducts. By 2003 it was time for the mid-life cycle facelift. 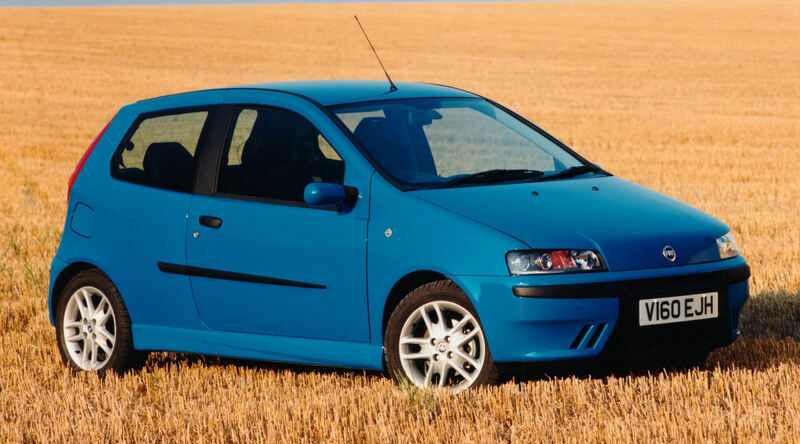 The first Punto, as popular as it was, merely received a light tickling due to the ‘rightness’ of its design, with new engines, revised trims and body coloured bumpers. It was fair to assume Fiat would try the same recipe again. Sadly it didn’t. The sporting, angular elegance of the 1999 vintage was to be but a fond memory in the face of this new bloated front: the large, mouth-like grille and wide-eyed headlamps suggested something unpleasant was happening at the rear. Indeed it was, for the 3-door had gained vestigial light cluster additions that strangely had no lighting behind them. Do you have a nomination for a future edition of ‘What Would Joan Do?’ then comment on this post or send me a message via Twitter explaining your views on the travesty. Posts will be considered for a future edition. Agree with both. The XM (and Xantia IMHO) both modernised quite organically whilst retaining an essence of the original. The Punto I think was one of the worst of the relatively recent past. The initial car was attractively different from the Fiestas ect of the time. The facelift was just boring, as is the current car. Thanks, Simon – appreciate that. Yes, I agree about the Series 2 Xantia too (had a V6 ones of those that one summer was ant-infested – not pleasant). Will have to agree to disagree on the new Puntos: I think the Evo’s a retrograde step but the Grande one I think is very pretty and elegant for a small(ish) car. Maserati 3200GT-esque headlamps too. Hi Keith, you’d have thought Fiat would have learnt their lesson with the Punto II facelift. I agree it was a failure the original Punto II was a great design reminiscent in my opinion of the Chris Bangle designed Fiat Coupe, perhaps Fiat’s best sporting design. 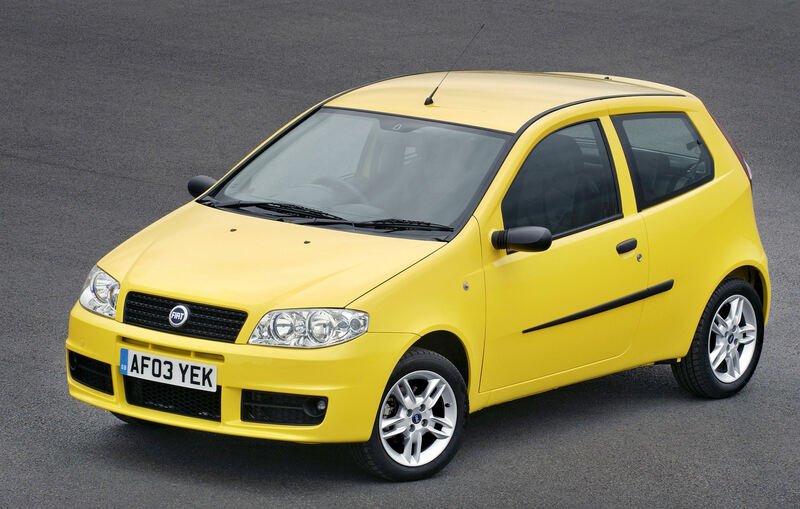 A friend had an original Punto II in yellow and it looked just fabulous and drove a bit like it looked with a really pointy front end response. My decision to purchase the Grande Punto was partly on looks, you might remember the press at the time calling it the baby Maserati Coupe and I have to agree with them, the three door especially still turns my head. But now they’ve gone and runined it with the Grande Punto – EVO. Ironically, from my friends at the local Fiat dealership they’ve fixed the mechanical problems but ruined the looks! Sales have suffered as a result. It looks ok in black or other dark colours but otherwise it’s now a bit of a minger! Of course it still looks fabulous in Abarth guise but that’s about it. I’m with you on all counts there Matt. The Coupé is arguably Bangle’s finest hour, the Punto II (Phase 1) and Grande Punto are fine looking small cars. The Evo though… Hmmm, it’s colour dependent, yes and in the photos at launch it looked a mess. I won’t pretend I prefer it to the Grande but seeing it in the flesh it has grown on me more than I expected it to. The rear tail lights look better (the fog/reverse ones in the bumper look worse though), the interior’s a step forward but those dark plastic bumper inserts look like a 70s safety car concept. The spirit of the rubber bumpered MGB’s alive and well. But, the thing that I just want to ping off? That 500-like chrome moustache. Why?